 TECHNO-CLASSICA ESSEN – the entire classic world under one roof  The number 1 of the classic fairs: pioneer and example for many vintage car exhibitions  More than 2,500 collector automobiles for purchase, more than 1,250 exhibitors, more than 220 clubs and communities of interest  Presentations of more than 20 brands of the vehicle industry  Special exhibition: Formula 1 racing cars of the Grand Prix of Monaco in the 1950s: The Golden Fifties of Formula 1  Special exhibition: 135 years cars with electric drive from 1882 until 2017 – view back into the future. 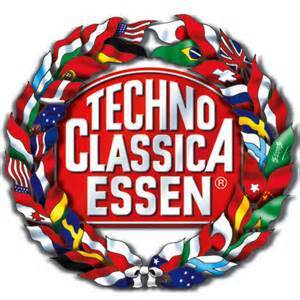 world club meeting” – so the official subtitle of the Techno-Classica Essen. With this it is still the classic fair of the world with the most visitors. But what the leading fair of the international classic scene makes so popular is more than only its dimensions: Above all the Techno-Classica Essen attracts the people because of its variety, the quality and the range of its sales objects, the exciting infotainment and the well, promotional atmosphere. Always to draw a comprehensive picture of the international classic scene with a distillation of the best and to self-invent new every year again and even to work at minor details – that is the recipe for success of the classic fair. In fact, historical cars, collector and connoisseur cars are in the centre but the Techno-Classica Essen offers something for everybody from the field of the topic automobile: Under the motto “The entire classic world under one roof“ every year are interesting things to discover anew, which are interesting for the whole family – starting at works of art via car literature up to classic fashion for woman and men. However, the most spectacular appearances are offered by the car industry. 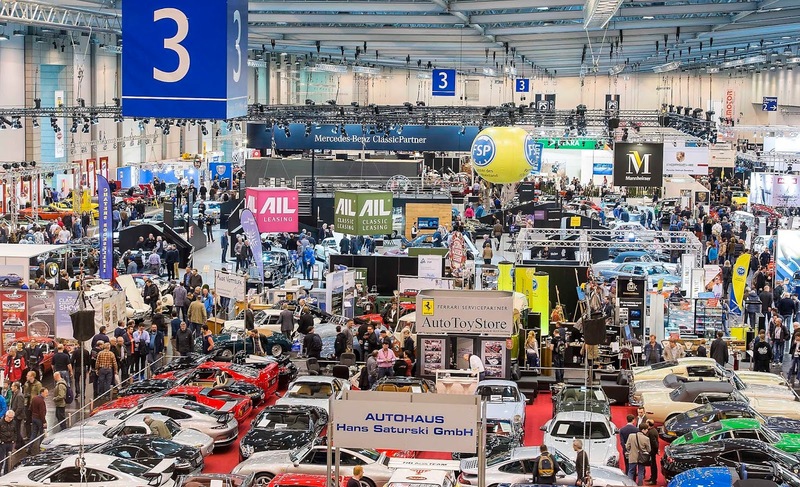 At the Techno-Classica Essen the most important automobile manufacturer are presenting them-selves as powerful as at no other classic event worldwide. 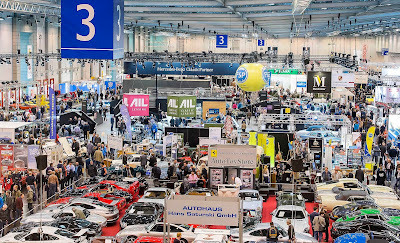 No miracle: The Techno-Classica Essen offers the single manufacturers a podium with a lot of attention paid to for their presentations. Here they can arouse or deepen sympathies for their brand characters, their attractive particulars and the special qualities of each label expert large audience – via their respectively very special histories. With their shows they reach more than 200,000 visitors and more than 3,000 accredited journalists, which bring their message into the world. The stands of the automobile manufacturer at the classic world fair are designed accordingly lavish and spectacular, partly in close cooperation with German clubs very familiar, partly with surprising topics and partly with great anniversary celebrations.  The anniversaries 60 years Wankel engine, 50 years NSU TTS and 50 years NSU Ro 80 celebrates the to the Volkswagen-group belonging Audi AG (plc) in hall 7 under the motto “NSU – The new driving“.  The Autostadt appreciates under the motto “Group variety under the point of view designer” 13 designers with from them designed cars of nine of the twelve group brands.  The to the VW group belonging brand Bugatti shows three spectacular automobile highlights in the show “25 years Bugatti super sports cars of the modern era”.  The Citroën Germany GmbH (Ltd) celebrates the anniversary 90 years Citroën in Germany.  Ford will represent the topic Ford dealer/garage via the Ford clubs and give support actively at the purchase of a Ford old- respectively young-timer – 13 cars are shown.  The large stand von Jaguar Land Rover is in the sign of the Range Rover Reborn and the legendary Jaguar E-type Reborn – a classic, completely restored by the plant.  Mercedes-Benz places its stand under the motto “Sporting nature is in the genes“ – and presents eleven classics from the Mercedes Simplex 40 HP (1903) up to the brand new Mercedes-AMG GT C Roadster Edition 50. The 17 German Mercedes-Benz clubs round off the star ensemble, supplemented by the motor trade “All Time Stars“ (http://alltime-stars.com/).  Opel demonstrates with the Germany premier of the new Insignia Grand Sport, framed by historical Kapitän, Admiral and Diplomat rarities, new power.  Porsche celebrates the birthday “40 years Porsche 928“ with three remarkable 928 models, shows the performance spectrum of the Porsche Classic plant restoration at the example of three rare classics and presents 15 international Porsche Classic partners.  Rolls-Royce Motor Cars Ltd., presents a historical Silver Wraith and with the topical Wraith Black Badge with 632 HP the most powerful Rolls-Royce ever built.  SEAT, since 1989 in the Volkswagen group native, Spanish automobile manufacturer concentrates itself at its company appearance on the SEAT 600 and celebrates its 60th birthday.  ŠKODA presents more than a dozen highlights from the over 120 years company history, among them the prototype 935 Dynamic from 1935 as well as the 130 RS Rallye – and celebrates the 30th anniversary of the ŠKODA Favorit.  Under the motto “The world of the Volkswagen classics” Volkswagen Classic, Volkswagen commercial vehicles vintage cars and Volkswagen Classic Parts commonly present themselves at the Techno-Classica Essen 2017. At the Volkswagen stand the visitors in this year are expected by four exciting topics from the world of the Volkswagen history with totally nine vehicles.  “Volvo Cars: The First 90 Years“ is the motto of the plant stand of the Swedish car manufacturer, who presents six especially historical models. 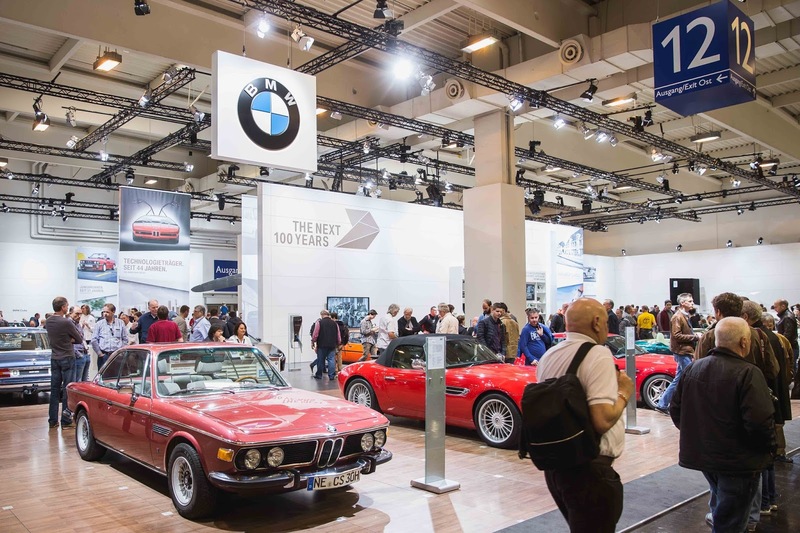 Besides the appearances of the car industry the classic trade is a further important corner stone of the Techno-Classica Essen. 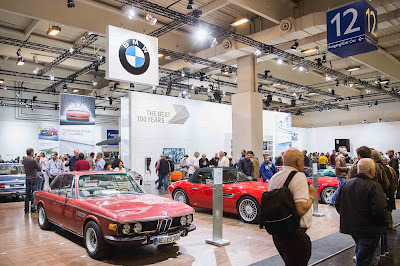 More than 2,500 classics, collectors and connoisseur vehicles, young timers and prestige automobiles in the 20 exhibition halls and at the open areas are for purchase. In spite of the quantity: Here counts class above all. The organiser takes care to give the priority to the renowned dealers with a first class offer at the selection of the vehicle offerers – independent from the supply segment. So in Essen meet young timer dealers, which enable reasonable getting into the scene with cars of the age up to 30 years of the type of an Opel Kadett, a Renault R 4, a Mercedes-Benz SL of the construction series R 129 or a Mazda MX 5 – of course in extremely well preservation and maintenance condition, as well as also international acting rarity pros, which offer rare and valuable classics – up to the Ferrari 250 GT TdF or Alfa Romeo 8C 2300 Monza – for amounts of millions. Because of the great success in the past year the S.I.H.A. has also this year fitted out hall 1 as “Top Salon Exclusive“, in which renowned classic pros present especially selected classics. An additional incentive for the car offerers to bring to Essen only the particular from the best, offers the organizer S.I.H.A. with the execution of a Concours d’Elégance with an expert and a specialist journalist jury. Besides the “Best of Show“ special classics in different categories are elected – for the relevant cars and their offerers a not to be underestimated prestige gain. Especial attention is paid by the S.I.H.A. 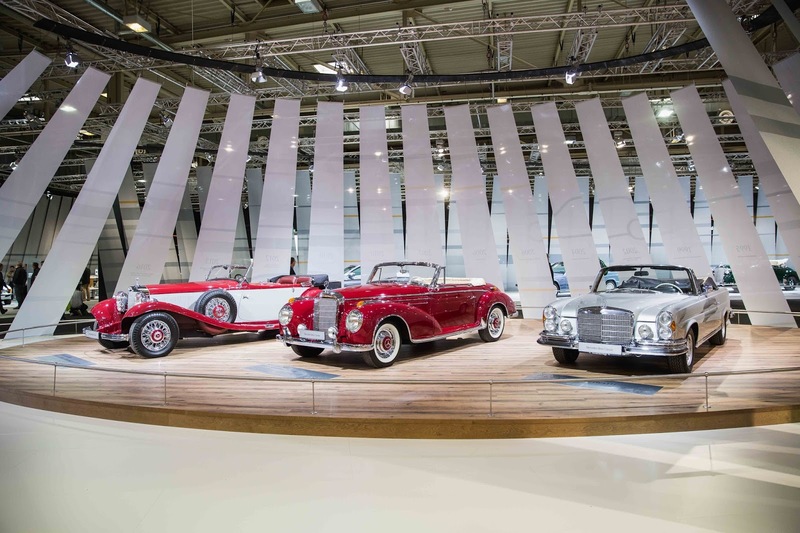 to the topic “Young Classics“: A considerable number of the vehicles offered at the Techno-Classica are between 20 and 30 years – they are therefore in the best age, to mature to a maintained classic in the hands of enthusiastic owners. Also in this market segment the offer in Essen is unsurpassed: From the exclusive prestige car of the type of a Bentley Mulsanne Turbo RT, only built in 252 specimens, or Lamborghini Diablo up to the BMW 320 Convertible or Fiat 126 the permanent growing offer lasts of young classics, which partly are also offered at inexpensive exhibitor spaces at the open spaces. 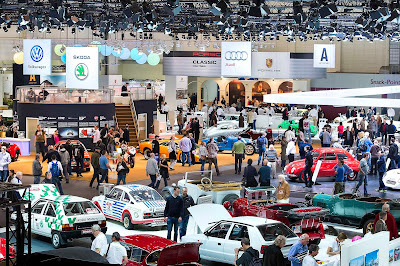 Also because of the variety and multitude of offers as well as the great crowd of interested persons the Techno-Classica Essen has become to one of the most successful classic markets: Surveys at dealers and visitors after the fair of the last year result in clues that well over 40 percent of the offered vehicles found a new owner. But the attractiveness of the Techno-Classica Essen is not only rooted in quality and quantity of the sales offers: It also offers the extreme connoisseurs under the classic experts with a spectacular special exhibition automobile historical gems every year. 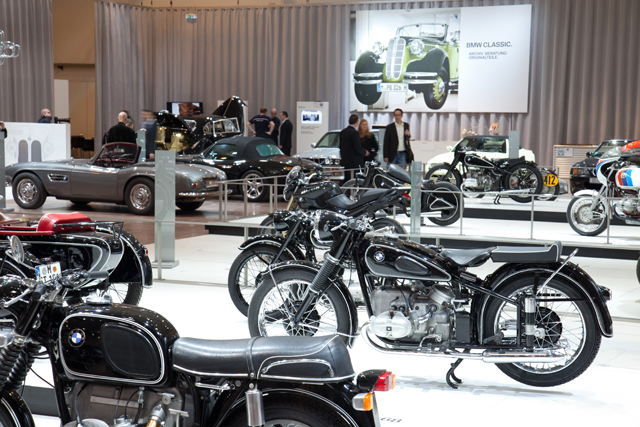 In the centre of the classic world fair, in hall 6, the S.I.H.A. 2017 presents under the topic “Grand Prix Monaco – The Golden Fifties of Formula 1“ selected racing cars which have one common feature: They started all in the 1950ies at the Grand Prix of Monaco. One of the special delicacies is that original Maserati 250F, which Juan Manuel Fangio drove in 1957 with a lead of more than 25 seconds to the victory. Since about 20 years this car with a great history was not shown to the public. The appearance of the just successful as beautiful bolide at the Techno-Classica Essen is similar to a little sensation. To the further highlights of the special exhibition belongs a Cooper T 45 of that type with which Maurice Trintignant won 1958 in Monte Carlo. In addition there is a Mercedes-Benz formula 1 W 196 from the fund of the Mercedes-Benz museum and a Ferrari-Lancia D50, as it got second with Fangio and Collins 1956 in Monaco. They represent – each for it-self – incalculable values. A special gem for history experts is an additional special exhibition with the simple title “Electro mobility”. With three automobiles from the 1910s and information easy to understand, that 105 years ago cars with electric motors had already great chances to gain acceptance towards petrol driven vehicles – and also towards the at that time topical steam cars. The protagonists of the system competition are a Stanley Steamer and a Detroit Electric from the car museum Melle and an Opel 6/16 HP from the Opel plant collection. To that a topical Opel Ampera-e builds the bridge to the voltage loaded future – and who wants to look back into the history very deep can be pleased about a very special reconstruction of the museum Autovision in Altlußheim: The by the foundation Museum Autovision for the special exhibition put at disposal Ayrton & Perry electro car, created according to (less) historical documents, of the first operational electro car from the year 1881/1882, which, as the petrol driven Benz tricycle, bumped over the streets. 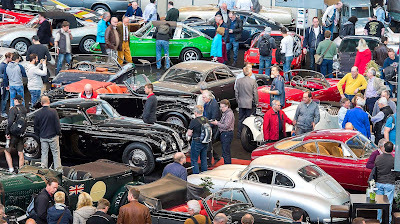 With these historical, topical, rare, exceptionally and also for experts often surprising contents and topics the Techno-Classica Essen also this year offers a full program again. Aim of the organizer is to present the right at high quality level for every taste – with the demand to combine tradition and modern age stylish. 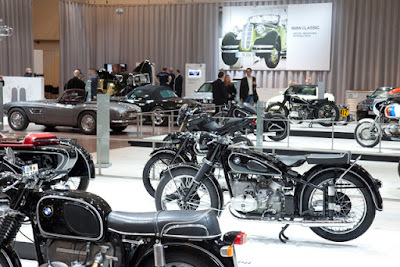 The goal was reached in the past 28 editions of the Techno-Classica Essen. And this year the classic world fair will be the centre of the classic universe again as well.